Fresh corn is so good this time of year. 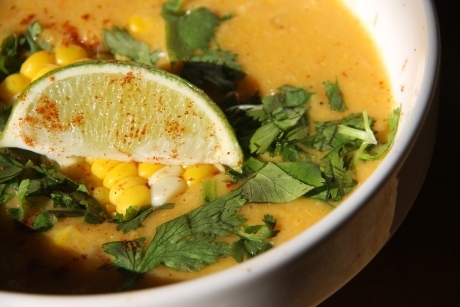 When I created this chowder I was interested in making a corn chowder with a Baja twist, but I wanted a chowder that celebrated the crisp sweetness of the corn and did not drown it out with too many other flavors…it deserves to be the star! This chowder will thicken the longer it sits. If it becomes too thick, add some water or some more broth. I also like to have different textures in my chowder. 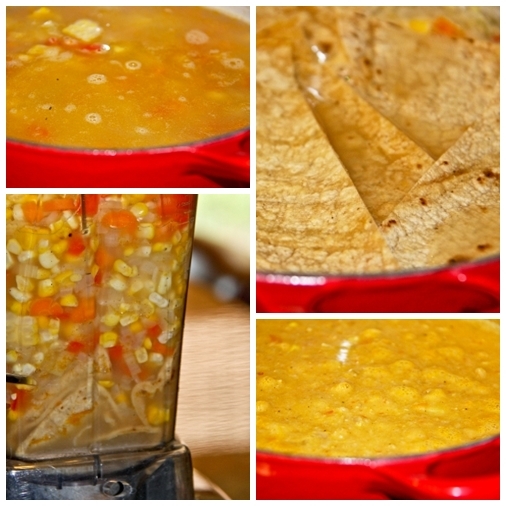 You are more than welcome to blend all of the soup…I prefer to blend some of the soup and keep some of the corn and veggies chunky. Below I listed some flavor options for those who are looking for a little more zing. This time I made the chowder as it is written in the recipe below without the flavor options…I will add those next time I make the chowder. Heat the olive oil in your soup pot over medium heat and sauté the onion, bell pepper, celery, and carrot (and jalapeno if using). After sautéing for 5-7 minutes, add the coriander, salt, and pepper (and cumin if using). Mix well to combine. 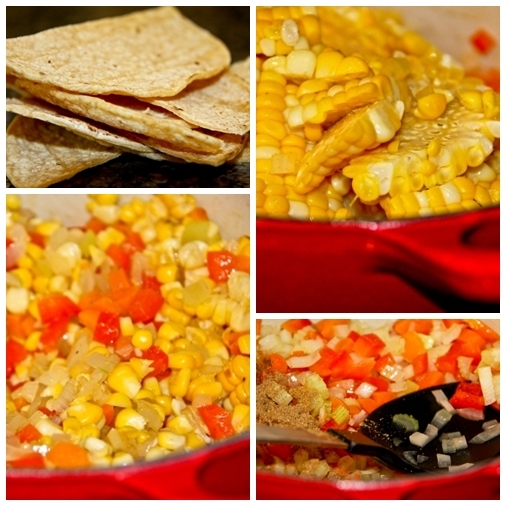 Add the corn and mix well. Pour the broth into the vegetable mixture and bring to a boil. 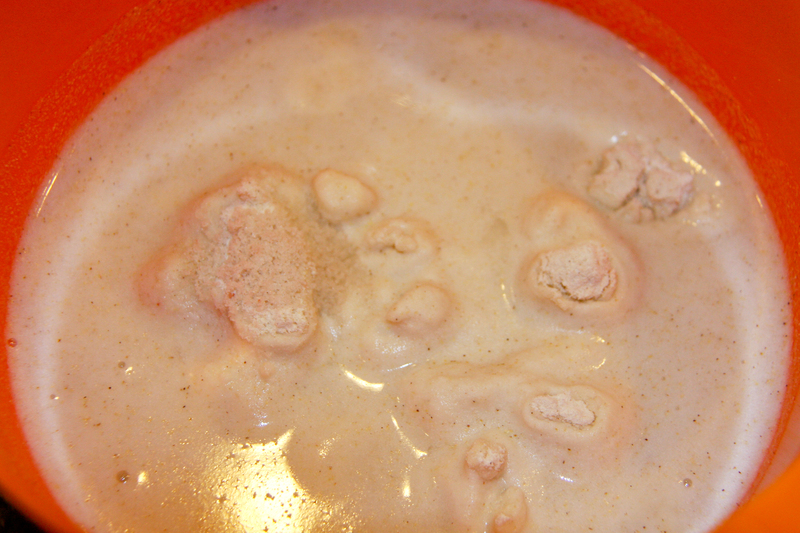 Once the soup has reached a boil, reduce the heat to simmer. 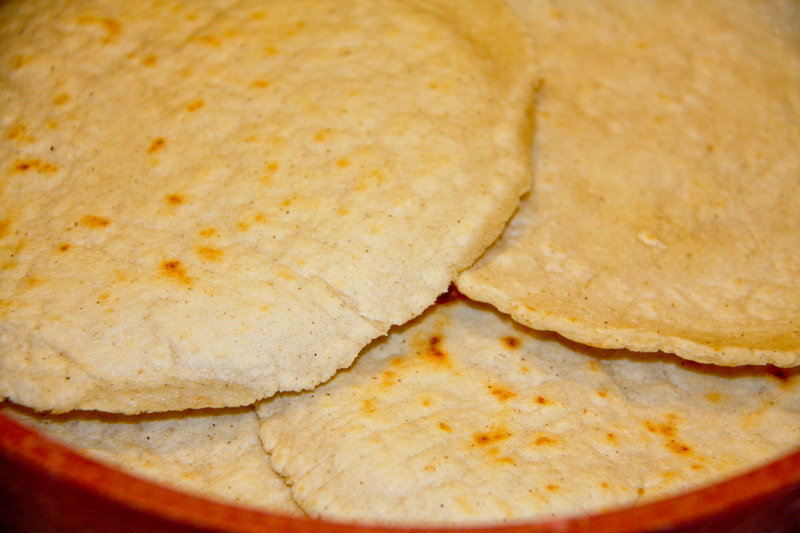 Place the tortillas onto the top of the soup for 2-3 minutes (this will soften them). Remove the tortillas from the top of the soup and put them in your blender (I use my Vitamix). Pour 6-8 ladles of soup and veggies over the tortillas. Very carefully blend the tortillas and soup (Always be VERY careful when blending hot liquids). You may need to do the blending in two batches. Return the blended soup to the soup pot and mix well. 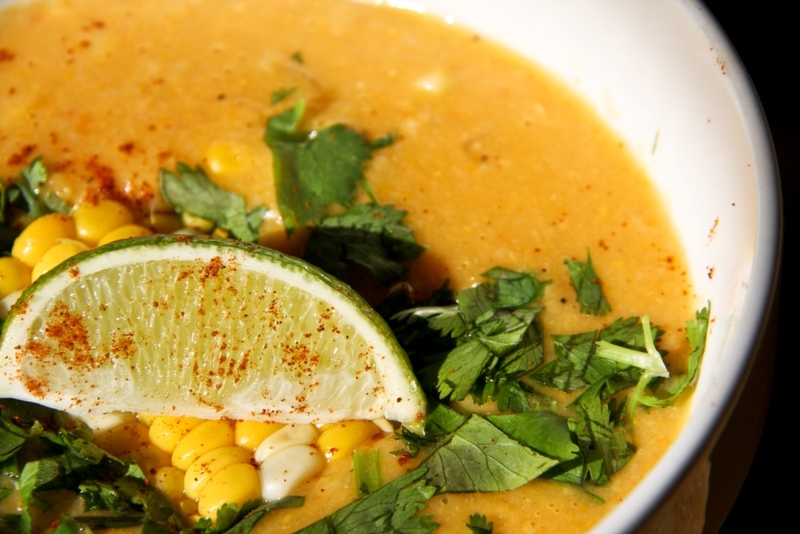 The soup is now ready to be served with the cilantro, lime, and a dash of paprika. It’s confession time…I bought yet ANOTHER kitchen gadget (My husband is always teasing me about all of my kitchen gadgets)!!! I have been eyeing the tortilla press in the Williams-Sonoma catalogue for some time now and I finally broke down and ordered it from their website. 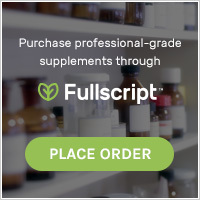 Trust me, paying the shipping cost is worth it because I know if I actually went into the store I would do a lot more damage to my finances. Fresh tortillas are soooooo good. Has anyone gone on the Mission Tortilla Factory tortilla tour at Disney’s California Adventure? That’s what I was dreaming of when these puppies were cooking. The kids really went crazy for these and they were crazy easy to make. 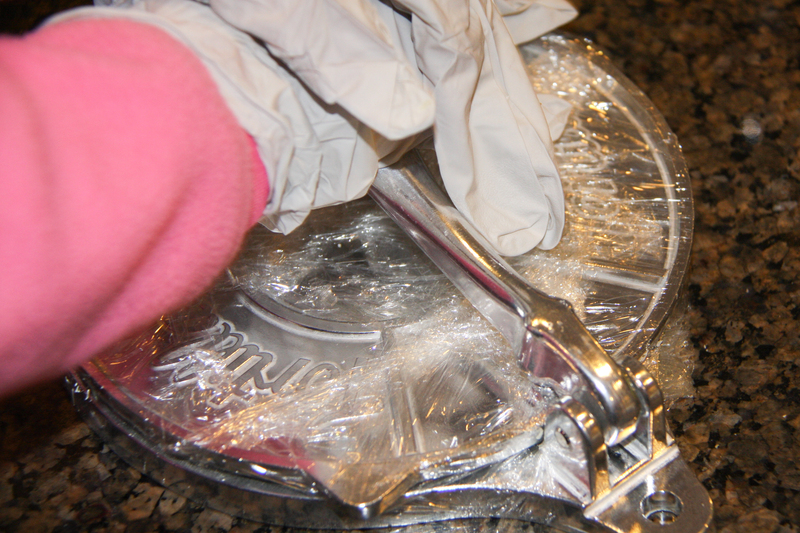 Cover both sides of the tortilla press with plastic wrap. 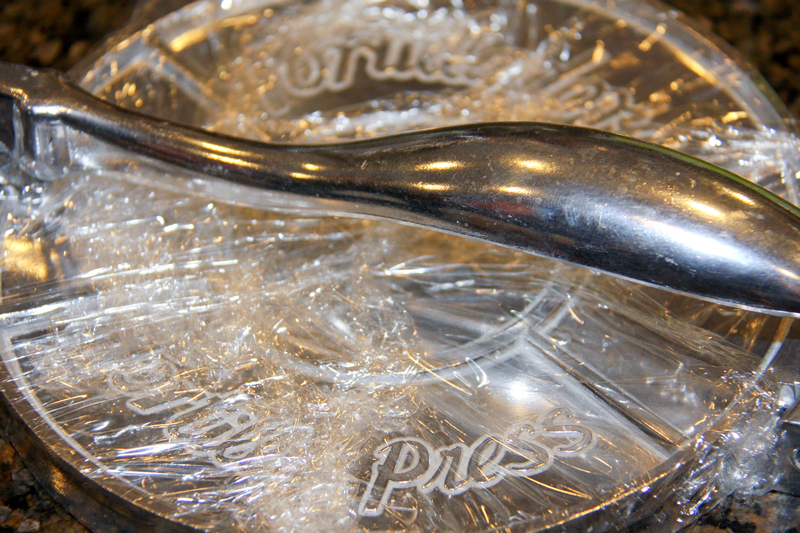 Make sure that the inside sections of plastic on the press are smooth. 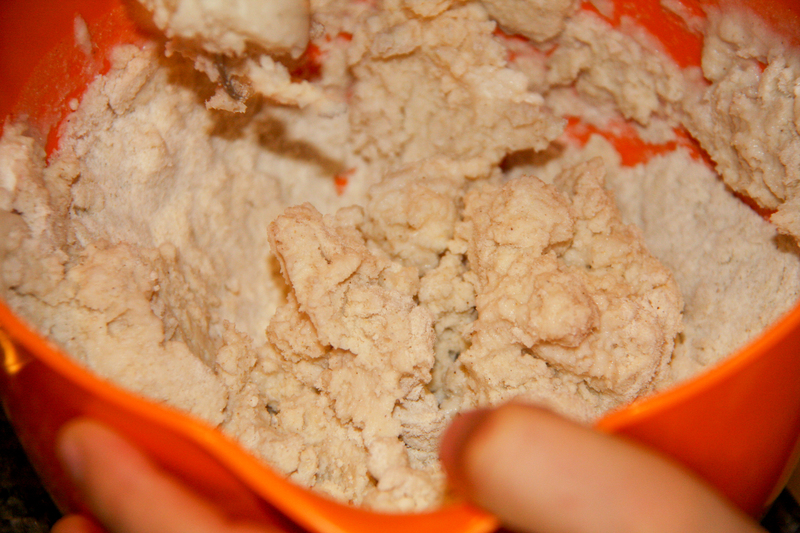 Combine the masa flour, water, and salt in a bowl and mix well. 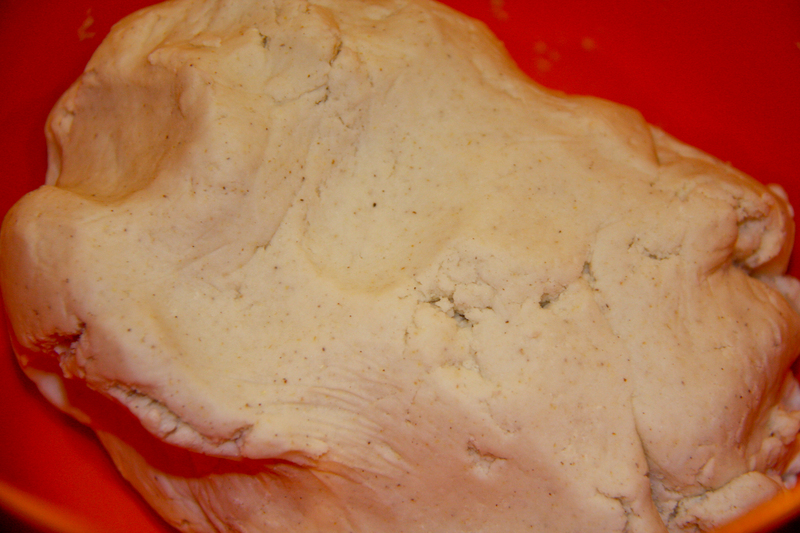 Add more water if the mixture is too dry…you want the dough to form a nice workable ball. 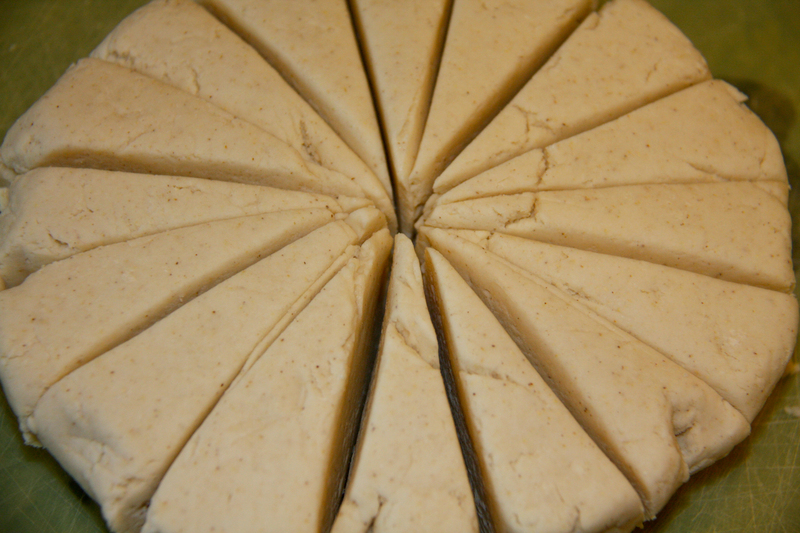 Once the batter is mixed well, form it into a 4 inch disc and cut the disc into 16 equal parts. 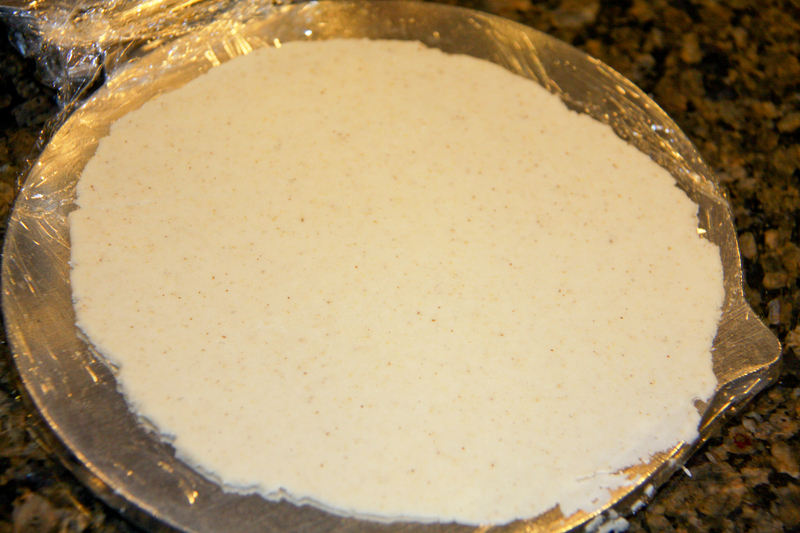 Take one of the sections and use your hands to roll it into a ball (cover the remaining sections with a damp towel so the batter does not dry out). 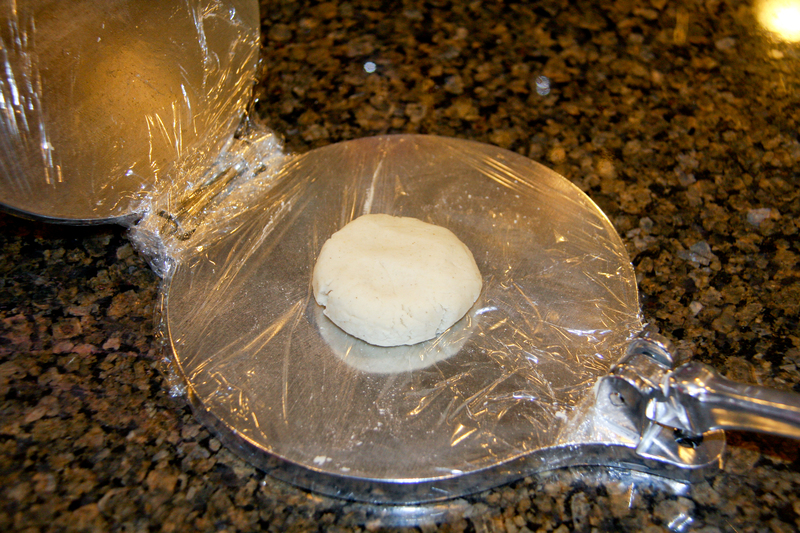 Place the dough ball onto the prepared tortilla press. Use the lever and press the plates together. 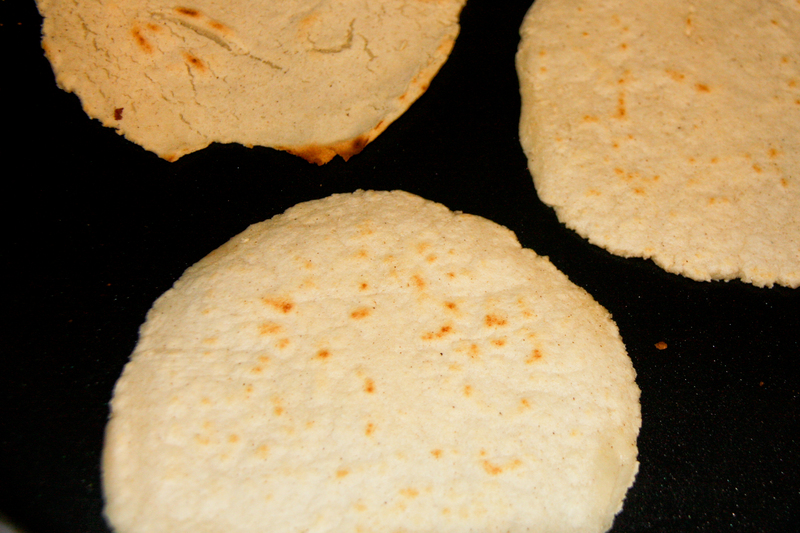 When you open the press the tortilla should be uniform. Carefully use a spatula to release the tortilla from the plastic. My Daughter Making a Tortilla...Love the Gloves! Heat a nonstick pan to medium heat (no oil needed). 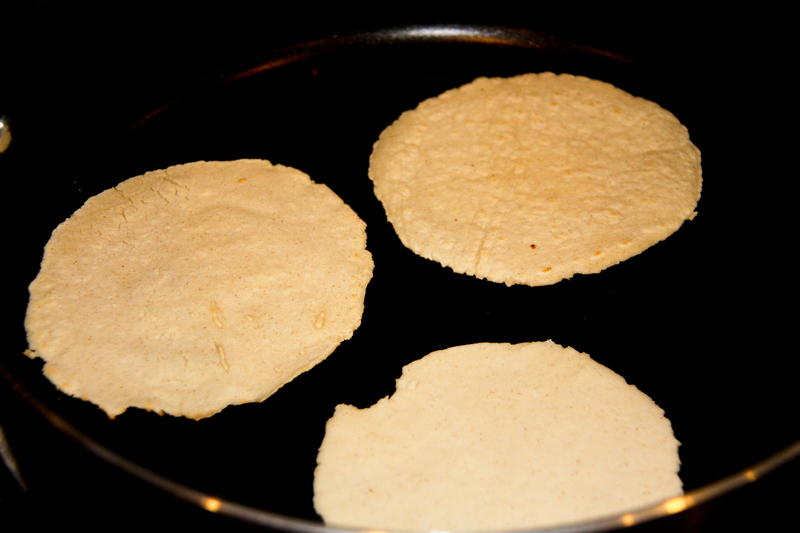 When the pan has come to temperature, put the freshly pressed tortilla in the pan and cook for approximately 50 seconds on each side. Repeat with the remaining dough sections. For printable version of this recipe click here.